Exit signs today are designed with a firm understanding of people’s behavior in the event of an emergency. 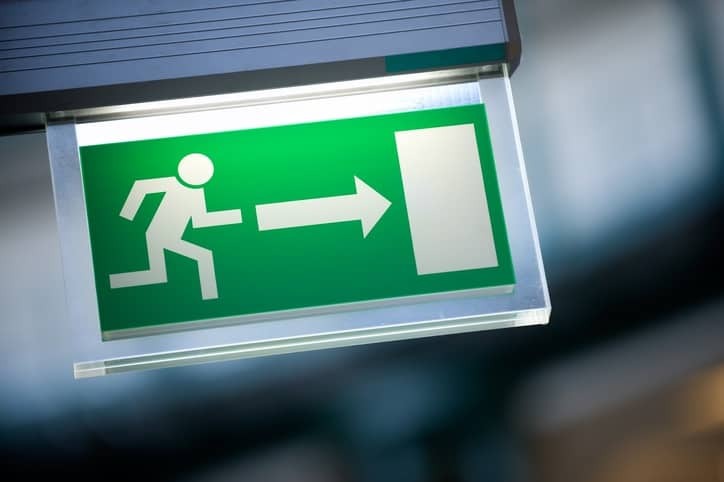 Placed up high enough for all of a building’s occupants to see, in noticeable colors and appropriate lighting, exit signs are an unquestioned necessity to any building’s emergency evacuation fortifications. According to the American Psychological Association (APA), during emergencies, people generally do not panic, will exit through the door they entered, often remain inert, and try to assess a situation before reacting. Possessing a general understanding of collective anticipated actions can greatly assist those responsible for the design of emergency exits. 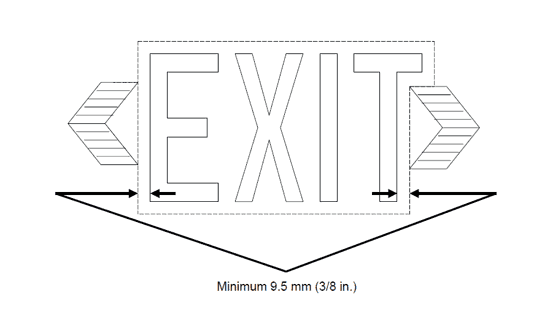 Exit signs are a major component of this system, as they direct a building’s occupants to the closest point of egress. Early attempts at exit signs, however, did make use of the body of knowledge acquired through social science. The earliest exit signs served as an aspect of the efforts made to establish egress systems for buildings, an idea that grew in importance after the Triangle Shirtwaist Factory Fire in 1911. The first exit signs were incredibly simple, and often just consisted of a metal sign with the word “EXIT” written on it, with an external incandescent lightbulb for visibility. Alternatively, some of these were glass panels that fit over a lightbulb. Unfortunately, in the event of a fire, these signs would fall from their fixed point on ceilings, or smoke would limit their visibility, as they were not very luminescent. The pictogram featured in the ISO format was designed by Yukio Ota in the late 1970s, and it was the winning submission in a contest held to determine the new Japanese emergency exit sign. He called it “the running man”. In 1985, it was adopted by ISO. The color green in these signs might seem somewhat bizarre, as it starkly differs from the color red that is often associated with cautionary symbols and signs. However, green is recognized in psychology as a non-intrusive color that can still be easily noticed in a time of need. Because of this, green is common in signs that are meant to direct people or highlight particular features. This figure also illustrates the minimum distance between the lettering on the sign. Additional specifications are thoroughly laid out in the NEMA EM 1-2010 (now rescinded) document, as they help to guarantee the visibility of the sign. While there is no color explicitly specified in the document, the majority of the lettering of exit signs in the United States is red. 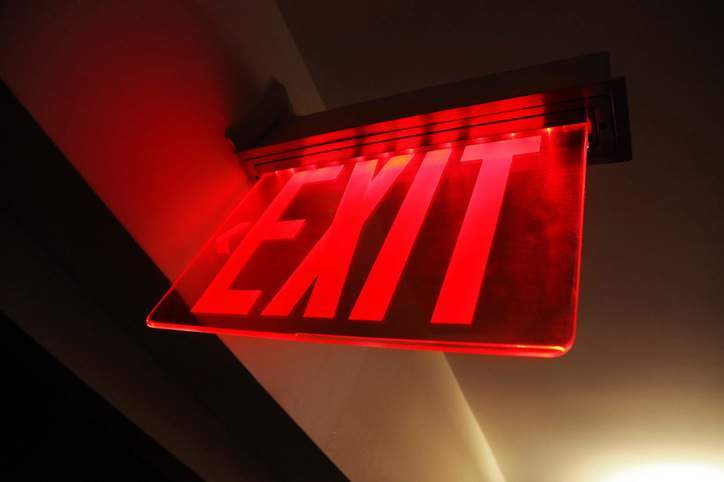 Local governments cover additional requirements for exit sign installation. 1. The British Standards Institution, BS 5499-4:2013 – Safety signs. Code of practice for escape route signing (London: BSI Standards Limited, 2013), 5. 2. National Electrical Manufacturers Association (NEMA), NEMA EM 1-2010 – Exit Sign Visibility Testing Requirements for Safety and Energy Efficiency (Rosslyn: NEMA, 2010), 5.